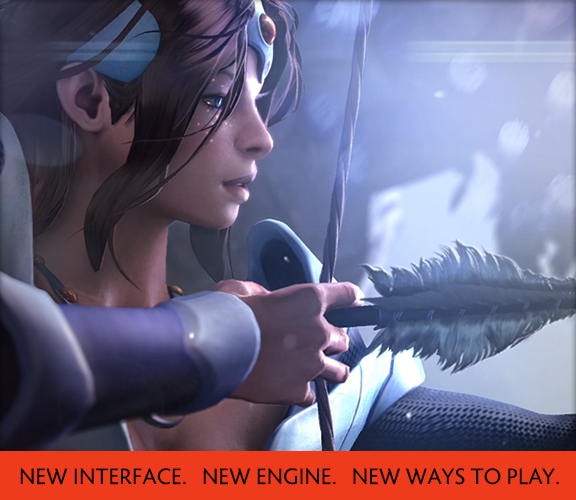 Today we are announcing the Dota 2 Reborn Beta, which brings with it a new interface, new engine and Custom Games. Everything in the dashboard has been completely redesigned utilizing a new UI framework, and the engine that powers the game has been fully replaced. On today’s update page we will be giving you a preview of the new interface. Early next week we’ll be talking about Custom Games, and later that week we’ll conclude with various details about the new engine and launch the open beta. Throughout the beta we’ll be releasing frequent updates in order to fix bugs and make changes based on the feedback you provide. As you browse around in the new client, you’ll notice a few things that aren’t fully functional yet. Additionally, our focus has been on the dashboard so you’ll find the in-game HUD currently looks the same. We want you to help us during the beta with your suggestions and bug reports. Our intention is to keep gameplay and heroes looking and feeling the same, so if you find anything unexpected please let us know. We’ll be bringing the update out of beta some time after The International to ensure we have enough time to respond to all of your feedback.